A new kid has arrived on the block! 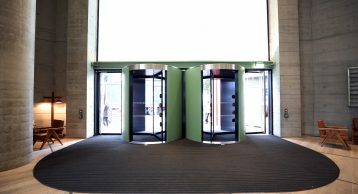 A 16-storey tower at the epicentre of London’s Tech City – Silicon Roundabout, The White Collar Factory offers a mix of living and is an incubator for working spaces to make a new mark in the city. Featuring generous working and living spaces, flexible floor plans, operable windows, and robust construction, the tower represents a new type of office building that takes its cue from the factory of yesteryear. This building is different in every aspect and has defied conventional architecture. 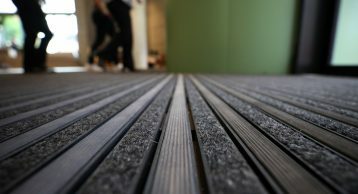 Find out how our Entrance Matting is maintaining the stunning aesthetics of this office. 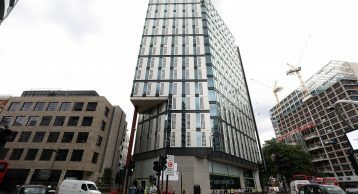 For many, working in modern hermetically sealed offices, the idea of opening a window may sound implausible but all windows in the White Collar Factory are designed to be opened, a rarity in modern building of such status. 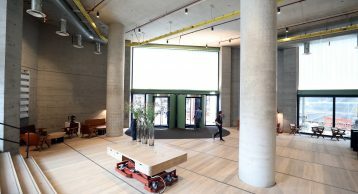 The bare concrete ceilings stand 3.5 metres high, rather than the usual 2.5 metres, and engineer Arup has designed a heating and cooling system that will be 15% cheaper than conventional air-conditioning to build and up to 20% cheaper to run. For the White Collar Factory, the brief was simple; to start with what users want from an office and combined this with sustainability principles. The idea of White Collar Factory is that it should be a sustainable, healthy, and a flexible office space that also costs less to run. It is inspired by industrial architecture and brought up to date with iPad-friendly controls that give users the power to customise their working environment. 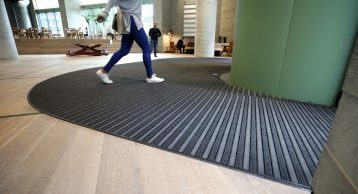 INTRAsystems could not be prouder to install our flagship INTRAflex XT Entrance Matting at such an important building in such a up and coming area of London. We worked with the architects in choosing a design that would blend in well with the buildings character and add tremendous aesthetic value. 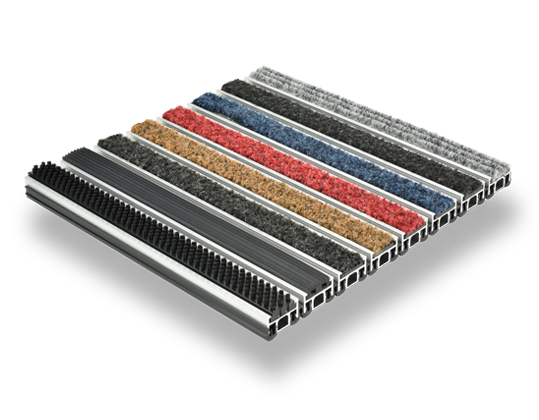 As a result, the Black Anodised frame was chosen for INTRAflex XT product, couple this with Black rubber and Black Polyamide inserts the combination is the perfect barrier against the ingress of dirt and moisture. 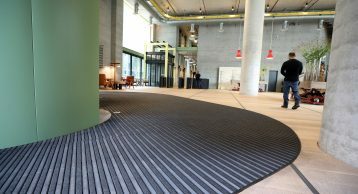 Both types of inserts have their own advantages; from superior moisture absorption, excellent environmental credentials, acoustic properties, to increased durability of the Entrance Mat, The White Collar Factory has truly benefited from this installation. Call us on 01425 472000 to find out how we can help deliver a high quality project for you. 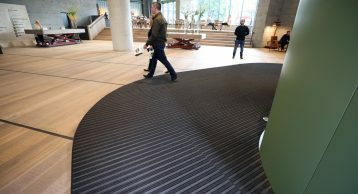 Our expert sales team are always on hand to guide you through any question about Entrance Matting and much more! Click here to check out our other projects!